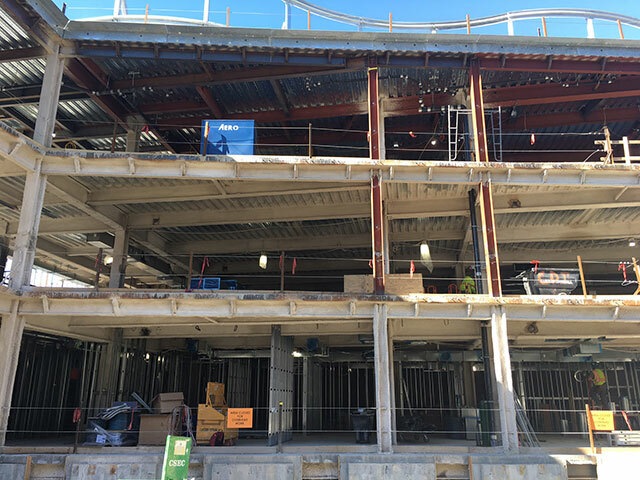 M​etal stud framing has already begun on the lower level and first floor, and the rooms are starting to take shape. Ductwork also runs along the ceilings on these two levels. Teams will work to do the same on the second and third floors.